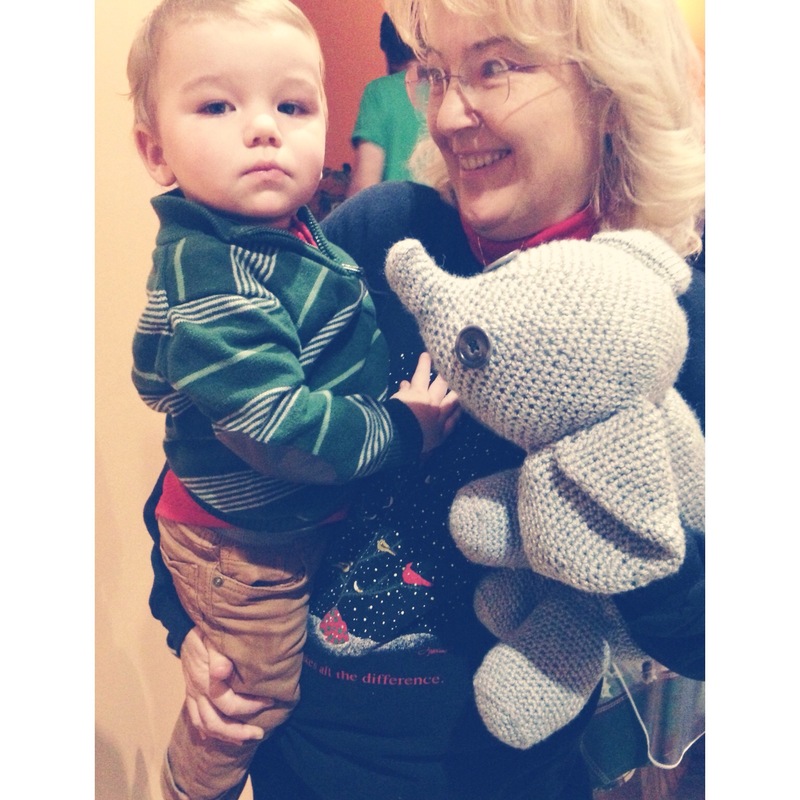 I made a crocheted elephant for my adorable nephew for a Christmas gift. 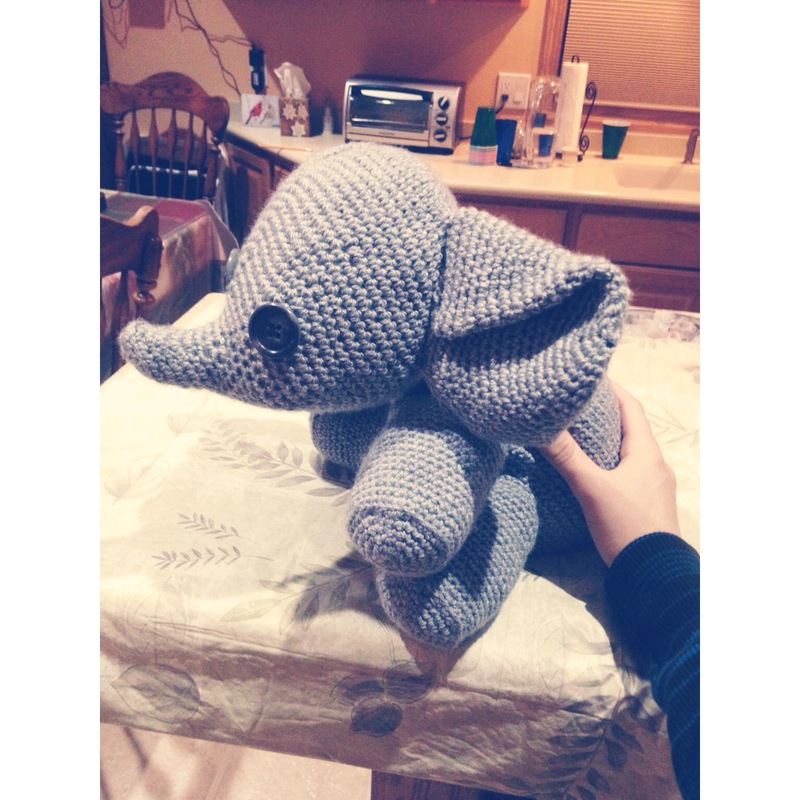 It was a bigger project (and a bigger elephant!) than I expected starting out but I’m quite pleased with the results. 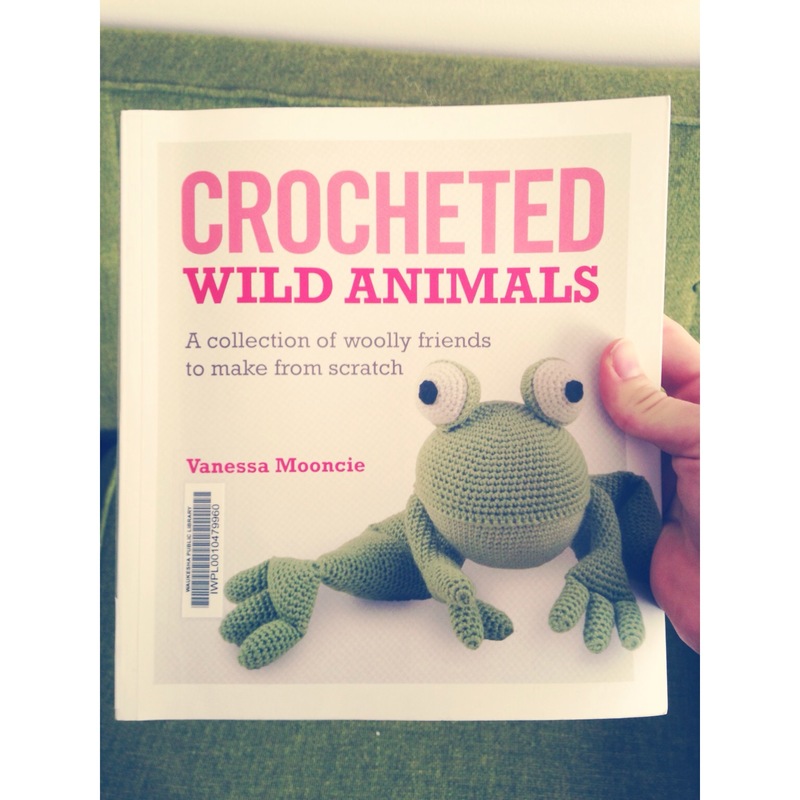 The pattern is from a book called Crocheted Wild Animals that features some really cute creatures and easy-to-follow instructions. I love handmade toys and can’t wait to make some for Miles when he’s older. 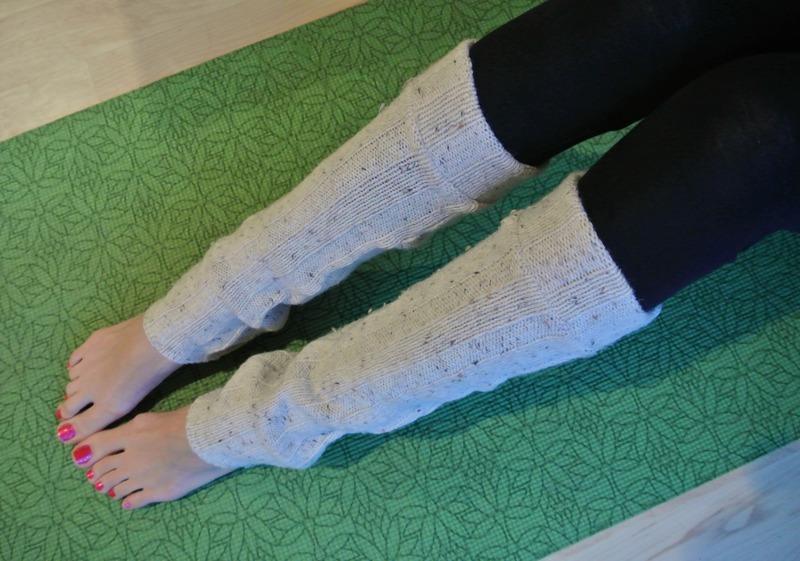 Adding new leg warmers to the shop this week. Miles and I have gotten into a good sewing routine together – he hangs out in my Baby Bjorn and is apparently mesmerized by the whirring of the machines; I listen to Serial and try not to hunch (sewing is already hard enough on your back – strapping a 10 lb. human to your chest unsurprisingly doesn’t help). 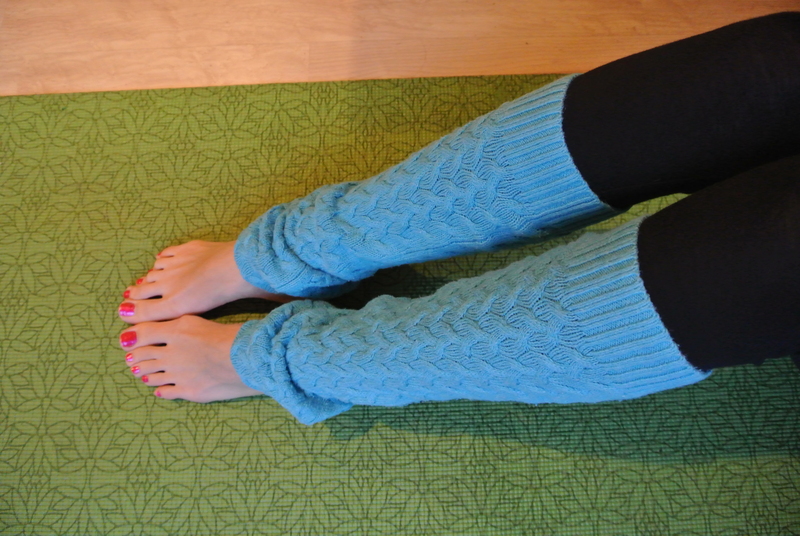 I’ve been wearing my leg warmers more since winter started and find that I like including them in non-yoga outfits – they add a nice pop of color in the same way that a cowl or scarf does and really do keep me warm. …this was last year’s tree, complete with mini lights and ornaments and a Christmas pickle. I love the mini tree idea and would like to do a more DIY one down the road (maybe use clay for ornaments?). I found this cute printable online and displayed it in a frame/stand left over from my wedding dessert buffet. Our stockings were bought 50% off at Hobby Lobby and I used an over-the-door purse hanger (closed in our TV stand drawer) as a stocking hanger. It works really well and I already owned it! And finally, our Christmas tree! The ornaments are a mix of shatterproof balls from Farm and Fleet and vintage finds from Goodwill. I bought the star 50% off at Hobby Lobby and made the tree skirt with 1 1/4 yards of fuzzy felt bought at Hobby Lobby with one of their 40% off coupons. I followed this simple diagram (scroll down) to cut the felt and ended up with a tree skirt for just over $3. How are you decorating for the holidays this year? I’ve been working on Christmas presents while I wait for Baby (tomorrow’s my due date!) and this hat is my most recent creation. It’s simple but I like the uniqueness of crocheting vertical ribbing for a hat instead of crocheting it in-the-round (what I typically do). 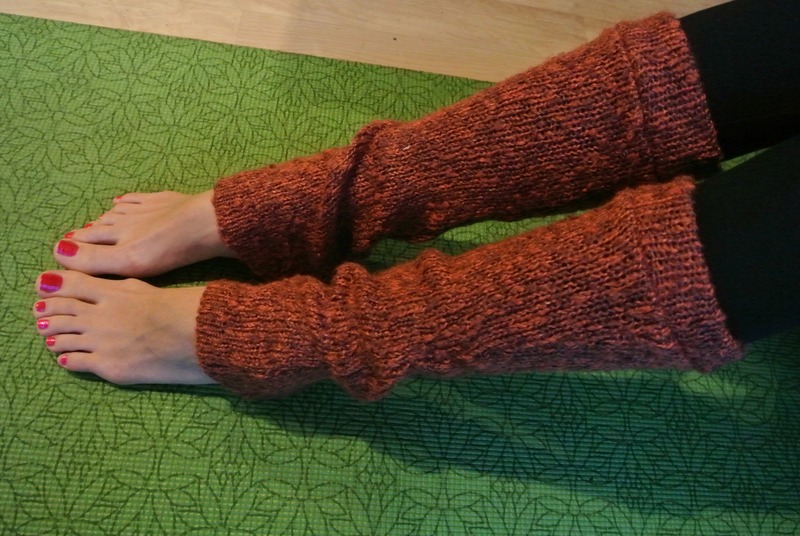 I used Patons Classic Wool Worsted yarn, which cost me $4.40 after a 40% off coupon at Joann’s. A wool hat for under $5? Works for me. Row 1: Sc in the 2nd chain from hook and in each ch across – 46 sc. Row 2: Ch 1, turn. Working in back loops only, sc in each sc across. Repeat this row until piece measures about 15″ from beginning. This will fit a woman’s medium-sized head. 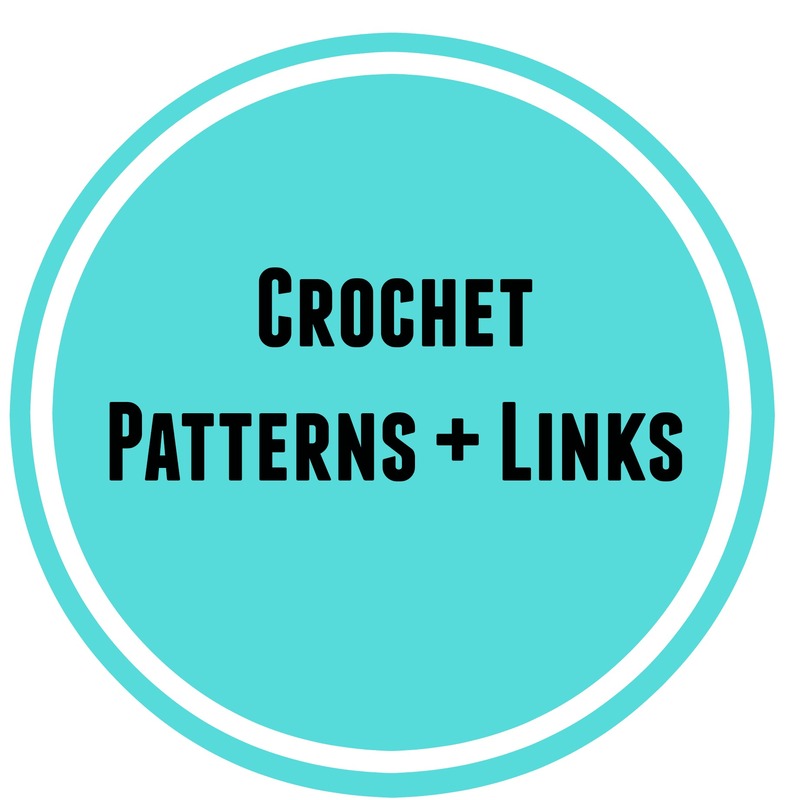 Crochet a wider piece for bigger heads or a narrower piece for smaller. It’s pretty stretchy and forgiving. Fasten off, leaving a long yarn tail. Thread tail through ends of rows along one long edge and pull to gather for top of hat. Knot securely. Finishing: Seam short sides of piece together, knot, and weave in ends. Fold up brim to desired width. And that’s it! Simple enough to make multiples for Christmas gifts…plus unisex and easy to size up or down. My kind of crochet project. We ended up spending very little converting the second bedroom/craft room in our apartment into a nursery that is peaceful, cute, and well-stocked for the arrival of our son in (approximately) ten short days! We owe a lot to the generosity of friends and family. However, through the process of pulling this nursery together, I think I’ve implemented a number of money-saving ideas that might be helpful to you as you’re trying to figure out how to make room for Baby without emptying your savings account. Let the tour begin! My awesome mother-in-law found this crib at a garage sale for $40 – it even came with a sheet and mattress pad. It belonged to a grandma who bought it for babysitting and ended up using it only a few times. Obviously, be careful buying a crib second-hand, but don’t discount garage sales and thrift shops as good resources for this expensive must-have. The tie-on crib net was a gift. I sewed the crib skirt (using this awesome tutorial) using a sheet from Goodwill as fabric. If you’re having a baby boy – or just prefer less fussy baby decor – be sure to check out upholstery and bedding fabrics (whether at a second-hand or fabric store). They often feature simple prints and high-quality fibers. The rug was a Target reject found at Goodwill for $14.99. If you don’t shop at Goodwill, locate your nearest one and try to buzz through once a week! Our Goodwills have great turnover and I almost always find at least one thing. I bought the wire toy basket at Hobby Lobby 50% off. The lamp was stolen from our living room – I think it was originally from Wal-Mart. The plastic laundry basket on the left was repurposed as storage for blankets/burp cloths. You can see the Boppy nursing pillow that I received as gift peeking out from behind my chair. The book basket on the right side was stolen from my bedroom, and I crocheted the blanket on the chair with yarn bought on sale at Joann’s. If you’re the crafty type, be sure to utilize Hobby Lobby and Joann’s online/print/text coupons – they have some great deals! To add a pop of color to the nursery, I made three reversible flannel receiving blankets (using this tutorial), sewed on bias tape loops, and hung them from hooks by the recliner. They’re within easy reach of the chair and, since the fabric and hooks were both bought on sale/with coupons, they were a cheap way to add visual interest! We opted to leave Zach’s desk, which was already in the room, where it was. He’s keeping his guitar in here as well. Our apartment is just too small for one tiny human to have an entire room to himself! I did add a framed baby shower invite and a globe (found at Goodwill) for a little personality. Our “changing table” is a bureau that was already in the room. I repurposed a little Ikea organizer for diaper/ointment storage, was given a wipe warmer by a friend who was cleaning out her baby stuff, and grabbed a mason jar from the kitchen to store pacifiers. The trashcan to the left was already in my craft room. Our art collage cost next-to-nothing and I’m really happy with how it turned out. The pictures are attached to the wall via nails and double-sided mounting tape to ensure that they don’t fall on baby. From left to right: a picture of Baby Zach I was given by a family member, a framed deer print found on clearance at Hobby Lobby for $7 (I normally hate their art so this was a surprising find! ), an illustrated Bible verse torn out of a church handout and framed in a cheapo Hobby Lobby frame, embroidered initials done by my sister, and two of my favorite cards from our baby shower (these last three were framed in frames bought on clearance at Target). I bought our changing table pad at Target but sewed the cover myself using leftover fabric from one of the hanging receiving blankets. This cover was surprisingly easy to sew and I’ll probably make more to keep as clean back-ups. 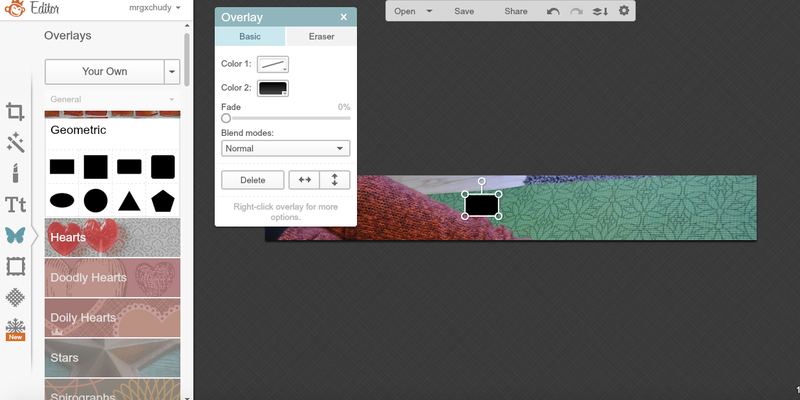 I used this great tutorial. The remaining corner of the room houses my yoga accessories (I still practice yoga in this room because it’s so quiet and clean!) and a Rock n’ Play we received as a shower gift. I’ve heard that these can be a lifesaver with newborns and I’m excited to try it out. We also have a closet that I’ve managed to keep somewhat empty in anticipation of more baby stuff – the drawer unit on the left contains the baby clothes we’ve received so far as well as diapers (there are more diapers under the crib in plastic containers too). Also, I picked out a “going home” outfit for our son this week – I made the hat out of an old skirt using this tutorial. Hopefully it fits! Fleece bunny for my six-year-old sister. Inspired by this pattern. 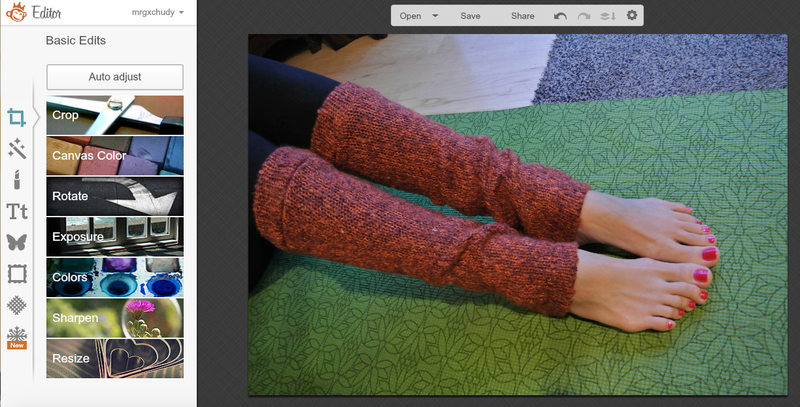 Right-hand photo illustrates how much of a mess I made finding fabrics for this project. This bowl was not created by me…it was a gift from another of my sisters who has been learning about pottery! It is tiny and beautiful and I’m so impressed with her skills. I took a pottery class as a girl but that is the extent of my knowledge. I can’t wait to see what she creates next. I’ve been working on sewing seven clutches for bridesmaids’ gifts for a friend’s upcoming wedding. We’re using this pattern and lining them with a really stiff interfacing. A quick and cute pattern than I would recommend! As far as crocheting goes, I’ve been making a lot of cowls (upper left-hand photo). It’s been a ridiculously cold winter (it’s -17 F today!!) and these are the best way I’ve found to keep warm. No pattern…just a tube of double-crochet stitches made out of bulky homespun. I’ve also been working on decorating my craft/school room with a row of granny squares along the upper edge of the wall. Between that and a row of inspiring photos/quotes along the lower wall, I’ve managed to add some height and interest to a pretty boring room. It still needs some work but I’m happy with what I have so far.